If you need a place to overnight near the airport I could not recommend this place enough. Cleanest hotel I have ever seen! Lovely outlook. No noise from airport. Free pick up from airport and they dropped us back there again the following day. Room is clean and big, comfortable and near airport. this was a last minute booking because we got our flight dates wrong. they accepted the booking on the spot and picked us up and let us check in at 9am (for us to leave the next morning at 8am). there's free coffee & tea, a lovely little pool and a setting like bali. it's just next to the airport and you can call them for a free pick up. they are friendly and helpful and if you walk up or down the street (and on to the main road) there's a mix of local food stalls/ street food/ cafes etc that you can eat at. also a 24hr shop right next door with everything you might need and a tesco lotus slightly further down the main road. they say the beach is nearby but we didn't get there. the facilities are great. bed is super comfortable, toilet really nice. pool and everything else is clean. looks new. we are definitely heading back there just before leaving/ after our usual stay in patong. p/s value for money was cos of a good deal on agoda. or else it might be a little pricey for the average backpacker. Thank you for your extensive review. We are very happy that you enjoyed your stay and our services. We are looking forward to welcome you again in our hotel. Booked a Room for 3 persons and a baby to kill some time before a late night flight. Staff were exceptional and the room very comfortable. The shower pressure was the best I found in Thailand and was exactly what I need before a flight. The courtesy shuttle to the airport was a nice bonus. If you get hungry head to the nearby Naiyang Cafe for an amazing burger. Great hotel which I'll use again. The location and staff are great, especially if you are looking for a convenient place to get some rest in transit! They were really helpful in getting our Boarding Passes printed and responsive to our needs. 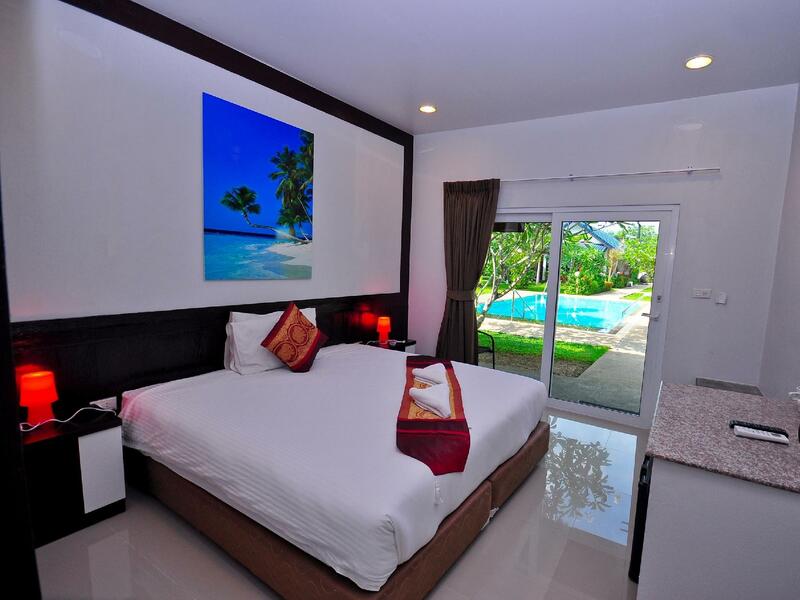 Great job, looking forward to staying at the Phuket Airport Hotel again in the future! This small hotel with around a dozen rooms surprised me. The rooms are new, all on first level and surrounding a nicely done garden and pool. The amenities are good, everything in the rooms is immaculate an clean, good WiFi and decent breakfast, and a large number of staff seeing to everything ask for. The room was quiet and comfortable. The location is very close to airport and there are a couple of eating options nearby. The pizza place across the street was actually decent. Cute little hotel - great place before or after a flight. Very helpful staff and super clean rooms! Fast check in. Provided a free cot (medical cot though a bit unsafe). Staff helpful and accommodating.Minutes away from airport. Basic but tidy accomodation. not allow to speak loudly in the hotel. Given that Phuket is one hour away, we were glad we decided to spend the night here before our early morning flight. The hotel is literally two minutes from the airport and their shuttle van works 24 hours a day. Rooms are small but you aren't there for a long time. Thank you for your review. We are happy that you enjoyed your stay, and that our rooms where big enough for a short stay. We hope that we can be at your service the next time you are in Phuket. Free airport transfer arrives minutes after you call. Rooms clean, air con strong, great water pressure in shower. Complimentary coffee and water, basic bathroom amenities. Helpful and friendly staff. 24 hr market next door, pharmacy just steps away, plenty of restaurants walking distance and the beach is just 400 m away (entrance fee 200 baht!). Pool looked refreshing and clean but I didn't get a chance to utilize it. This hotel meets all basic requirements. It's not fancy, but it's perfect if you have a late arrival or early departure from HKT. 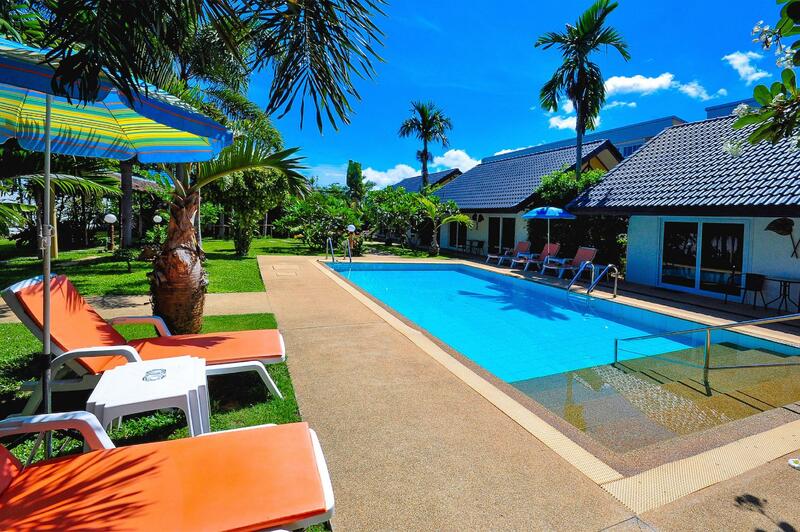 Helpful staff, clean and comfortable room, lovely pool and gardens. Was very impressed by the hotel as an overnight stay in transit from Phuket airport. Pickup went without a hitch. The kids (1 and 3) loved the pool! Would recommend to others. Used as a one nighter after arriving at the Phuket airport post midnight before heading to Patong the following afternoon. Located only five minutes from the airport, hotel provides free shuttle service. Very clean facilities and helpful staff. I needed a hotel near to the airport before an 0900 flight the next day. This hotel serves this purpose very well. 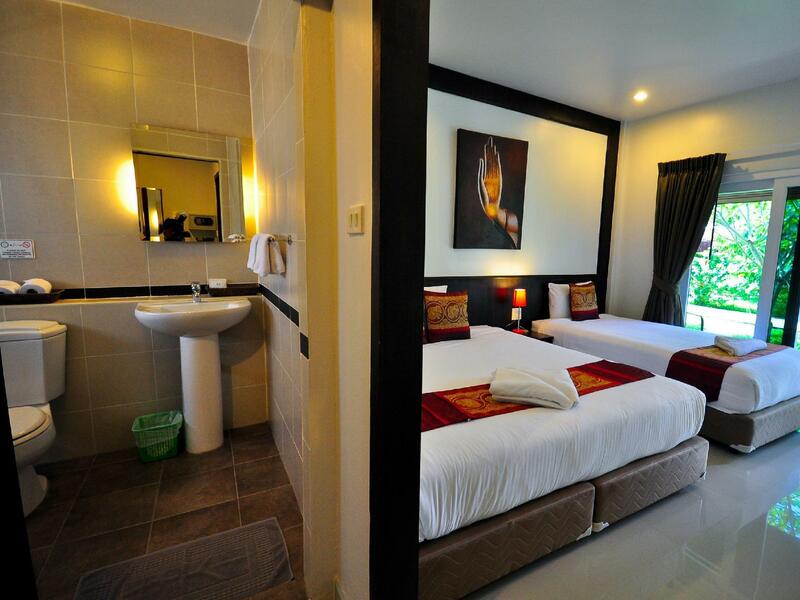 The rooms are smartly decorated, the bed is huge and extremely comfortable and the A/C works well. It's not on a main road but there is a little traffic noise, particularly from motor bikes. The downside is that, other than a breakfast service, there is no restaurant. The daytime receptionist, Pim, spoke excellent English and was most helpful. She confirmed to me that I needed to go to the International Departures terminal for my flight to Bangkok and on to Amsterdam. However, the driver didn't speak very good English and took me to the Local Departures Terminal at first. For someone whose main driving duty is to and from the airport, it was surprising he wasn't aware of the situation. However, that is my only negative point and I would be happy to recommend this hotel to others.